There are many who embrace tradition, and jazz's recent history is replete with acolytes of a certain era or style. 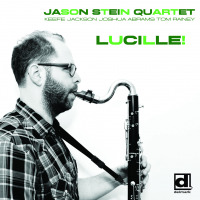 Bass clarinetist Jason Stein is cut from a very different cloth however, and Three Kinds of Happiness, the new album by his trio, Locksmith Isidore, demonstrates just how deeply and completely he has assimilated the pasthis own and that of the musicwhile maintaining his own voice, as a composer and as a performer. 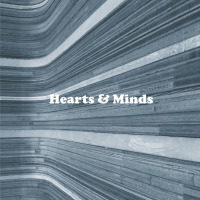 The album's title hails from Stein's studies in philosophy at the University of Michigan, before he moved to Chicago in 2005, and even before he became a music major. Simply put," he explains, It's a Platonic concept concerning long-term relationships between happiness and sadness; for me, it's about practicing, and specifically the idea that if I work through a problem thoroughly now, my future will be positively impacted in the process." 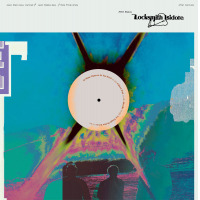 Stein practices voraciously, and his dedication to his instrument is manifest in every note he plays on this, Locksmith Isidore's third album and second with the current lineup of Stein, Jason Roebke on bass and Mike Pride on drums. Stein's instrumental approach encompasses many shades of jazz via such influences as Eric Dolphy, John Coltrane and Archie Shepp. As with those masters, his playing can veer in a split second from consummate lyricism toward fire music with astonishing subtlety. Coltrane's later music was a formative influence on me, as he employed many of the great New Thing players," muses Stein. Compositionally though, Steve Lacy has been a model for me above most others." Certainly his teachers have been formative influences, including David Murray, Charles Gayle and Donald Walden, but Lacy's versatility is special to Stein. I've tried to bring his diversity to Three Kinds of Happiness; I have a lot of respect for his ability to achieve such a broad stylistic scope while staying true to his own musical vision." 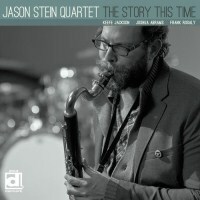 The trio's current emphasis on composition over improvisation constitutes a very conscious change in group aesthetics; it results from the release of Stein's solo album on Leo Records and from the supporting tour, where improvisation guided much of the music. I wanted to provide some more substance for us to explore," Stein elucidates. Indeed, Stein's ability to compose in both traditional forms and in freer structures is uncanny. From the sultry and wistful Little Bird," to the wicked whimsicality of More Gone Door Gone," he offers new wine in old bottles, expanding tradition while never leaving it. Even the intricate abstractions of compositions like Arch and Shipp" embrace the middle ground between metered swing and the lack thereof in unpredictable ways. The trio sound is an integral component. Michael, Jason and I have developed a real rapport," states Stein, and all nine of these compositions were written with their playing styles in mind." The ensemble is Lacyesque in range, from sparseness to controlled vigor, and the track titles reflect Lacy's love of words and humor. For Stein, many of the titles also refer back to another tradition, one just as personal and just as deeply rooted as the music. They evoke his family history. The group's name, which combines Stein's paternal grandfather's first name and occupation, is only one aspect of his family's contribution to his musical development. It was my father, who died when I was ten, that instilled in me my enthusiasm for musicnot for any one type or style, but for music in general," reminisces Stein. I remember driving with him when I was five or six, and he was drumming on the steering wheel while listening to 1980s popular music. 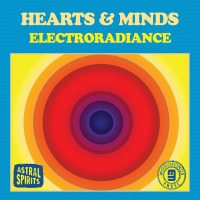 That made as much of an impression on me as did the music. I was overwhelmed by his love and enjoyment of music, and I wanted to understand and experience that." Stein's titles evoke that time and the shades of those now grown and gone. Little Bird," is for his little sister, and Sammy's Crayons," is an homage to his half-brother's childhood love of drawing. In a fundamental way, these family circumstances and events have proven to be the catalyst for Stein's current music. His move to Chicago precipitated many of the diverse working relationships he enjoys now, from his time in Ken Vandermark's incendiary Bridge 61 to his minimal rock excursions with guitarist David Daniels. Three Kinds of Happiness is one important confluence of these seemingly disparate influences, and it places him and Locksmith Isidore in the pantheon of those who have the courage to go beyond mere mimicry and reach for the fluidity and flexibility of innovation.